Whether you’re constructing multi-floor office buildings, erecting offshore oil rigs or laying asphalt, Spree has the cranes, excavators, dozers, graders and backhoe loaders you need. 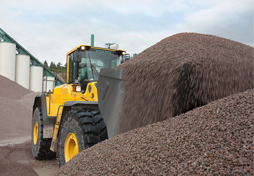 If it involves digging, lifting, transporting materials or demolition, Spree is ready to help. 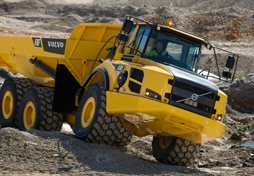 Commonly known as the dump truck, the tractor truck or hauler is a workhorse of construction. 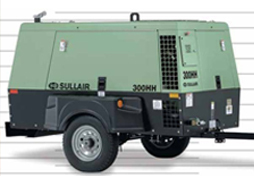 Spree offers many models and load capacities to choose from. 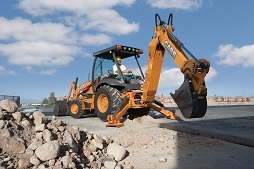 One of the most popular and productive pieces of construction equipment, the backhoe loader, or digger, is available in several variations. Also known as diggers, mechanical shovels and trackhoes (tracked excavators), these versatile machines are available with a wide variety of attachments. 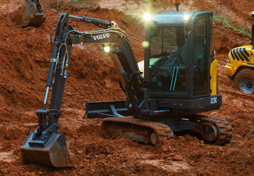 A compact-sized excavator is usually defined as a unit weighing less than 8.5 tons. 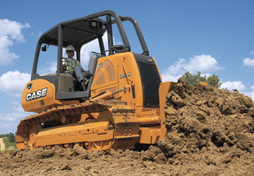 They normally have a backfill blade and are commonly used for grading or leveling. 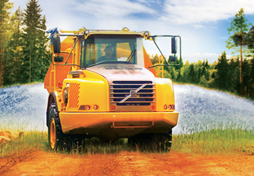 Highly versatile, the "road grader" is an iconic piece of construction equipment. Spree carries models that are durable and easy to service in the field. 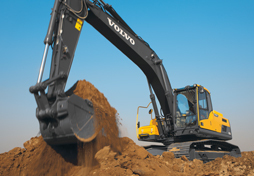 Sometimes called an earth mover, bucket loader, front-end loader or payloader. 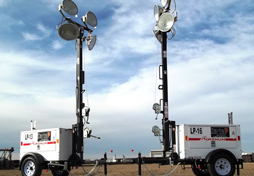 A multitude of payload buckets can tailor it for a large variety of jobsite projects. 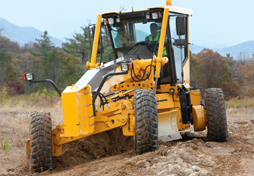 Also called "crawler dozers" or "bulldozers," Spree can provide you with the track size and blade, claw or ripper configuration your job requires. 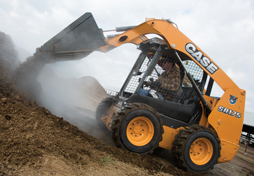 Offered in tracked or wheeled versions, these loaders will accommodate a variety of easy-to-install attachments, making them a versatile piece of equipment on your jobsite. 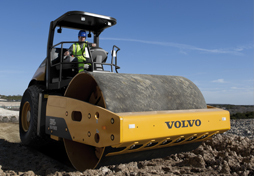 Compactors, or rollers, can be supplied with vibratory systems with either smooth or padfoot drum configurations. 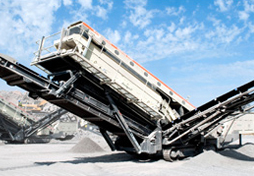 Screens sort through sand, gravel, aggregates, and other recyclable material, making them suitable for a wide range of quarrying and contracting applications. 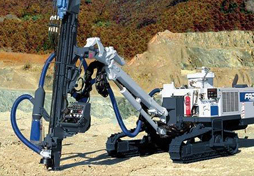 A specialized implement that can penetrate or bore through rock, these drills are often used in mountainous regions for the construction and mining industries. 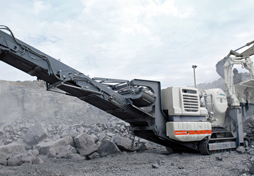 Used principally in the mining and cement industries, crushers convert large rocks into smaller rocks, gravel or rock dust. Portable models can be located at your jobsite. 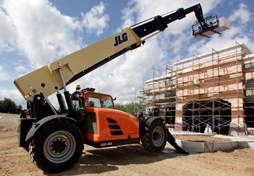 A cross between a forklift and a crane, it doesn't have the reach of a crane but is more versatile than a forklift. It has a telescopic boom that can extend outwards and upwards. 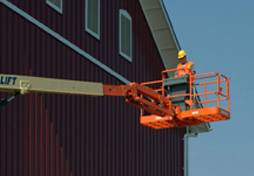 The cherry picker is a maneuverable boom with a basket platform that can lift the operator into the air in order to work at a higher elevation. 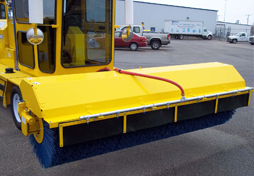 When it's time to clean up, these sweepers feature powerful vacuum systems and an optional water feature that keeps the dust down as they sweep. We specialize in water trucks featuring a Volvo Articulated Truck with a 25-ton chassis and a 5,000-gallon water tank attached. Hydraulic hammers are essential when you have to break new ground. Offered in a variety of tool configurations and foot/pound ratings. Easy parts replacement and repair. Available in a wide range of PSI and CFM ratings, so you can have ample pressure when you need it. Power all the pneumatic tools on your jobsite with capacity to spare. 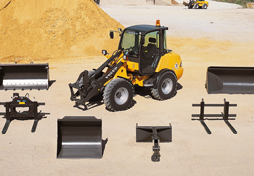 Spree Equipment offers a wide range of attachments for our construction equipment. 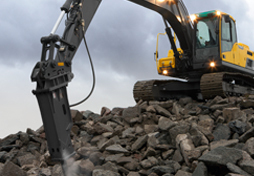 Please call us to find out what construction attachments we have available. When nighttime construction is a necessity, we can light your entire jobsite, or just a part of it. Let Spree help control your jobsite illumination costs. 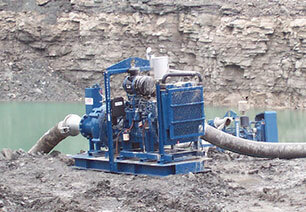 Whether you are looking to complete sewage transfer, pond drainage, bypass projects, or other general dewatering, we offer 4”, 6”, or 8” pumps with performance up to 2,600 gpm.